Consumer grade technology seen in cameras and phones has led to the price/performance ratio of sensors and processors falling dramatically over the last decade. In particular, most devices are packaged with a camera, a gyroscope, and an accelerometer, important sensors for aerial robotics. The low mass and small form factor make them particularly well suited for autonomous flight with small flying robots, especially in GPS-denied environments. 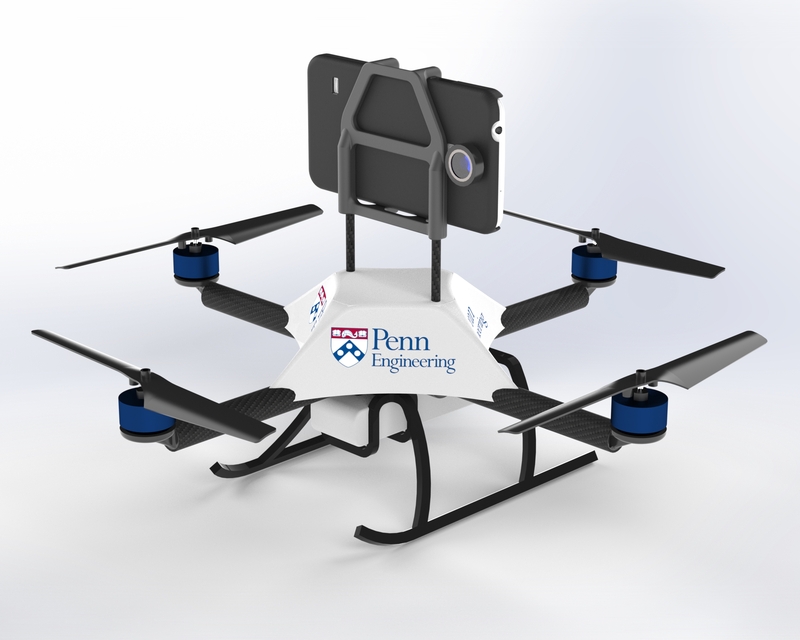 We designed the first fully autonomous smartphone-based quadrotor. All the computation, sensing and control runs on an off-the-shelf smartphone, with all the software functionality in a smartphone app. In the associated publications, we show how quadrotors can be stabilized and controlled to achieve autonomous flight in indoor buildings with application to smart homes, search and rescue, construction and architecture. 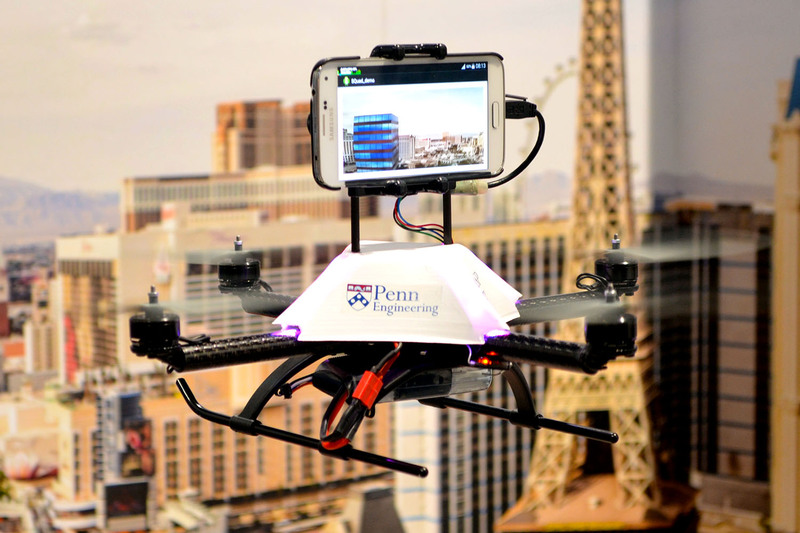 The work allows any consumer with a smartphone to autonomously drive a quadrotor robot platform, even without GPS, by downloading an app, and concurrently build 3-D maps.